Cleveland, OH, February 21, 2014 --(PR.com)-- Adding to its expanding line of ground-breaking baked goods, Orlando Baking Company (www.OrlandoBaking.com) has rolled out two more healthy breads bursting with flavor and loaded with nutritional goodness. 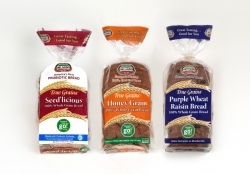 "Honey Grain" and "Purple Wheat Raisin," two innovative 100% whole grain breads, complement Orlando Baking Company's existing True Grains® product line which features wholesome breads that meet or exceed the Cleveland Clinic's "go! healthy" nutritional guidelines. True Grains Honey Grain bread contains 24 milligrams of DHA OMEGA 3 per serving. OMEGA 3 is an effective heart nutrient which promotes cardiovascular health while supporting brain and eye development throughout one's lifetime. 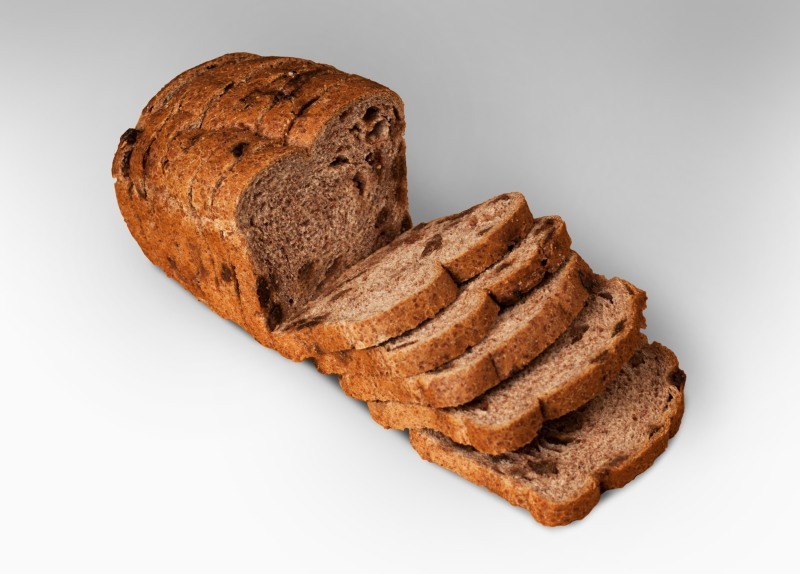 True Grains Purple Wheat Raisin bread is a sweet, nutty tasting low-fat bread that contains antioxidants, the same nutrients that are found in blueberries, which gives the bread a natural purple hue. 1) Minimal Saturated Fat. Less than 4 grams for main dishes; less than 2 grams for side dishes, soups and desserts. 3) Minimal Added Sugars and Syrups. Less than four grams for main dishes and desserts and less than two grams for side dishes and soups. 5) Minimal Sodium. No more than 600 mg in entrees and/or 480 mg in sides and desserts. 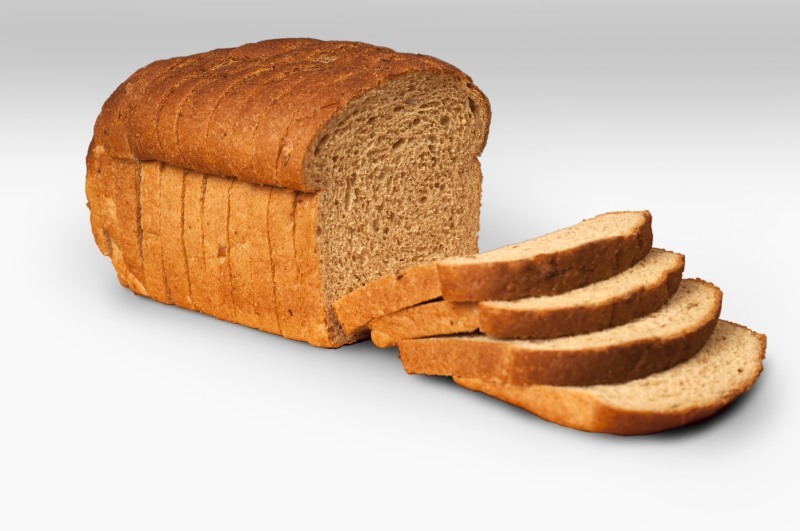 Orlando introduced its True Grains bread line in 2011 with the rollout of Seed'licious, America's first probiotic bread. Seed'licious is a 100% whole wheat bread textured with flax, sunflower, sesame, chia and millet seeds and baked with wholesome ingredients including fiber, OMEGA 3 and probiotic cultures. The bread has been recognized on the nationally syndicated "Dr. Oz Show" as a nutritional breakthrough in food choices containing probiotics. 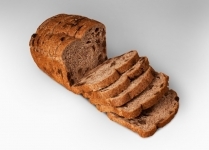 Nick Orlando, Vice President at Orlando Baking Company, noted that his company has been focused on offering innovative breads that meet the ever-changing demands of consumers who are increasingly watching what they eat. "Aside from being really flavorful, True Grains breads provide a host of benefits to health-conscious individuals who seek better nutrition and improved lifestyles," he said. True Grains breads retail for $3.99 per loaf, and are available in Heinen's, Whole Foods, Marc’s, Giant Eagle, Zagara’s, Acme, Buehler’s, Fisher’s, Miles Market, Murray Hill Market, Pepper’s, Rego Brothers, Reider’s, Krieger’s, Constantino’s, Chuppas, and Cleveland Clinic Wellness Stores. Orlando Baking Company is offering a 55-cent off coupon just by using a smartphone and scanning the QR code on the bread package (or posted on the PDF version of this press release). First-to-market with Ciabatta bread (1987) and Probiotic bread (2011). Guistino Orlando founded Orlando Baking Company in Castel di Sangro, Italy in 1872. Five generations later, Orlando Baking Company serves a nationwide retail and foodservice market from its 300-employee bakery operation in Cleveland, Ohio. The iconic company bakes 200,000 pounds of bread each day and sells more than 250 types of breads, rolls and specialty items to large retailers and foodservice outlets around the country. Orlando's products include sandwich breads and buns, and dinner breads and rolls which are available in grocery stores and neighborhood markets. The company also creates specialty Orlando Brand and Private Label items for large retailers, foodservice outlets and distributors nationwide. Orlando's frozen products include an extensive line of ciabatta breads, garlic breads, toasts, sticks and loaves in a variety of flavors and sizes. For more information, visit www.orlandobaking.com. This is the full press release introducing Orlando Baking Company's new True Grains breads.